Alright guys, let’s talk about Thanksgiving outfits. 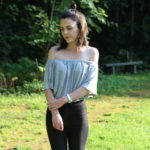 I am going to be sharing a few outfit ideas for y’all! A lot of these options could easily be achieved with items you might already own. 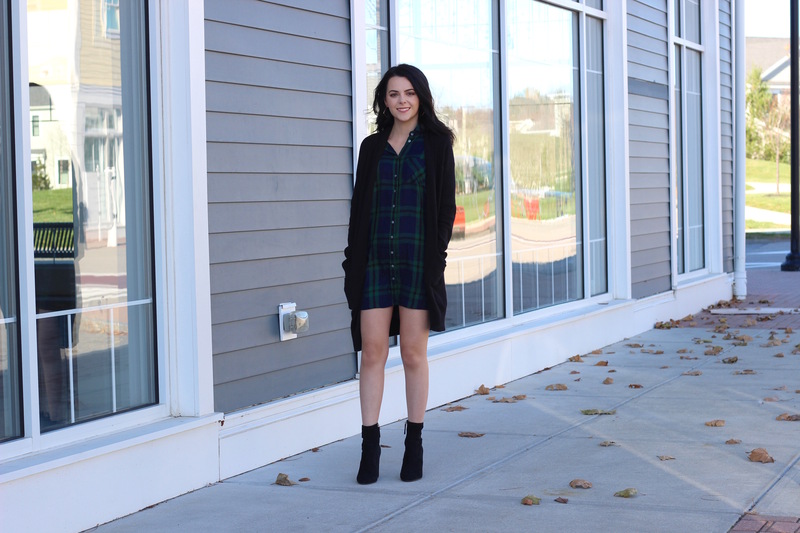 The first look I am sharing is this cute flannel dress. I actually got it last year with Thanksgiving in mind. Of course, I never ended up wearing it because I’m such a casual girl. Luckily, this dress is back in stock this year, so I can share it with you guys. And it’s on sale for an additional 20% off making it $23!! I styled the dress with a simple black cardigan for extra warmth but it would look perfect on its own as well. This dress would also look amazing with a pair of over the knee boots! I’m 5’3 and got the petite length but I think a regular length would have been fine because it is a bit short. *Each look is shoppable and I included more affordable options as well! How cute is this look?! This is by far my favorite outfit. 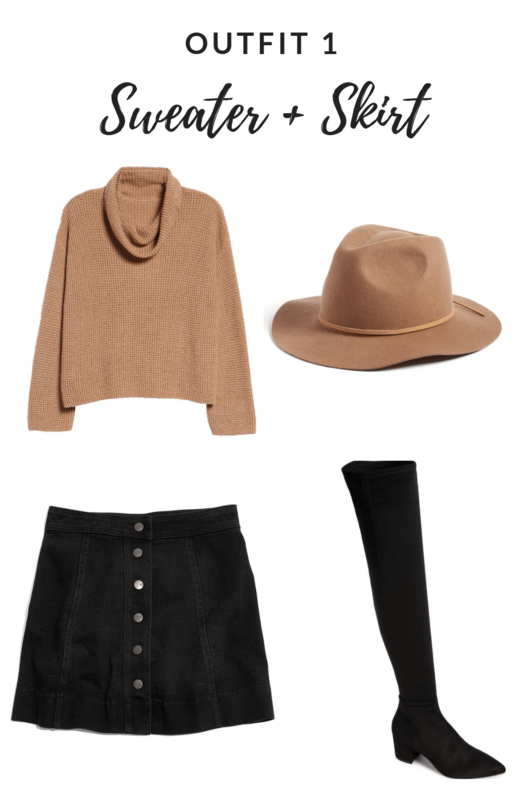 A skirt is something I never think of wearing but it paired with a cozy sweater just screams fall to me. I actually don’t own a skirt but if I did, this is something I definitely would love to wear this year! This outfit is perfect if you are looking to dress up or going to a fancier dinner. I love how versatile it is because you could dress it down by adding a hat, scarf or cardigan. If you are going somewhere nicer, the long sleeved dress with a pair of heels would be a perfect outfit. 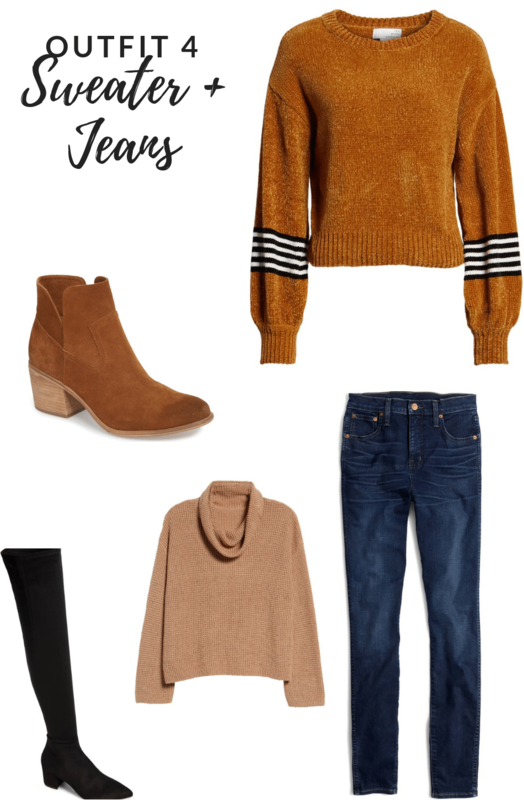 And last but not least, you can never go wrong with a sweater and jeans. Cute and comfortable. It also can easily be dressed up with a pair of boots or heels! What type of look are you going for this year? I’m most likely going for the sweater and jeans look. But who knows maybe I’ll switch it up and go for a dress!